Typography works much better for me when it's in French. Mainly because my level of French conversation is to say 'tres bien' and 'zut alors!' at the end of every sentence (a carefully placed 'mon dieu' can also be very effective). The Keith Brymer Jones French range gets me excited. I actually only discovered it by thinking 'I wish there was a French range, that would look pretty'. Whaddya know? There's a French range, and it looks pretty. 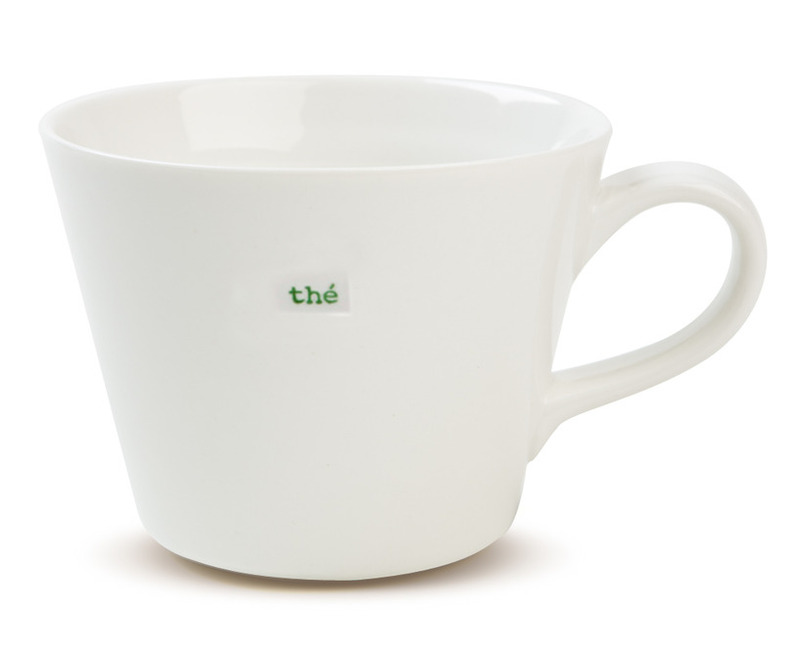 It's also really good value - the mugs are just £8.50. I do like this sugar bowl. 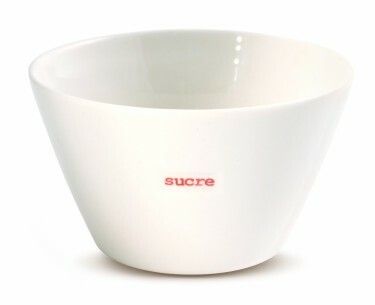 I would never have bought this sugar bowl if it said 'sugar' on it. French is more fun. That's French for 'hot', by the way. I did French at school for a bit. I've been to Paris. I'm practically Amelie. Part of my reckons this is just the chocolate design with the 'e' scratched off to French it up, but I'm alright with that. Sadly, there's no teapot théière in the French range, if I was I'd be all over that. 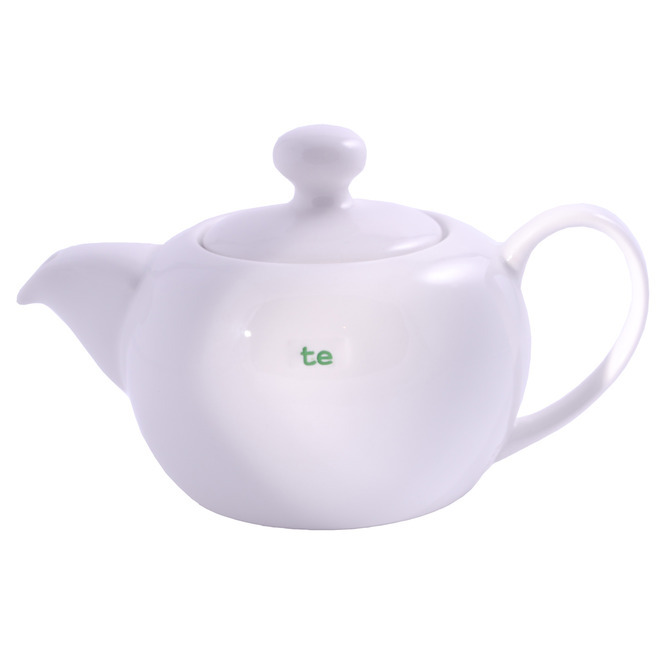 But, you can get a Welsh teapot, if you'd rather. I think I prefer this range in all other languages to English. Please do Italian next, Keith. But in the meantime, here's everyone's favourite girl band. They can't speak French either. I have one of Keith Brymer Jones' punk rock range. It's a really good-sized mug, and I love the bucket shape because it means my tea cools down quickly enough for me to drink. Plus, it originally had a giant safety pin in it and the hole it has left in the side means workplace mug thieves get an unexpected shock when they nick it ... muah hah hah. I've actually collected quite a lot of the range without realising. I've got the 'cakes, biscuits and treats' cake tin set, which is brilliant. I've also got a measuring jug, which never gets used because the spout is pretty terrible and I spill stuff everywhere. It's a shame, it's very pretty. Keith's stuff is everywhere at the moment! I really want the Sugar Stay Or Sugar Go mug, but this French range is adorable too!